"In this week's Video I will be showing you Step by Step how to do a Full Set of "Dazzle Rock" Sculptured Nails, using the "Dazzle Rocks" in "Rock Me Red"(a Combination of "Holographic" Red with multi color little shimmers in Gold, Pink & Purple). I will also be sharing with you "Specific Techniques" and "Tools" needed to keep your Colors, "Brilliant" "Clean" and "Sharp". You are going to be so excited how "Beautiful, Easy, Simple and Fast" it is to make "Dazzle Rock" Sculptured Nails!! " The 2-Tone Flowers technique brings out the creativity and imagination in us. With the aid of a few old but new tools, we can take our design to the other side; from simple to fun and from fun to fantastic. Get those all brushes out and let us teach you how to bring Gelprisa gel polish to a different level. Have fun! "Your Tammy Taylor "Dazzle Rocks" Nail Glitter is So Beautiful and So Versatile it makes it easy to "Dazzle Up" your nails, so every clients nails are a "Masterpiece"! I wanted to make a video for you to show how easy it is to turn your "Dazzle Rocks" into an Acrylic Nail Powder, so you can do beautiful "Dazzled Up" Sculptured Nails. The ratio I am teaching you to mix guarantees Brilliant Sparkle in every ball and the Acrylic is still Strong and Easy to sculpt with. And what makes this really fun, you can apply "Dazzle Rocks" to your Toes with Gelprisa and your "Dazzle Rocks" Acrylic Fingernails will match. The "Dazzle Rocks" are made with various sizes of hexagonal pieces each with holographic effects making your Nails "DAZZLE" from every angle. Use "Dazzle Rocks" with Tammy Taylor Clear Acrylic, your favorite Tammy Taylor Color Acrylic, Tammy Taylor Gel and Tammy Taylor Gelprisa. "Dazzle Rocks"- "Rock Me Red"- Combination of "Holographic" Red with multi color little shimmers in Gold, Pink and Purple. "Dazzle Rocks"- "Kiss Me Mistletoe" "- Combination of "Holographic" Green with multi color little shimmers in Gold and different shades of Green. "Dazzle Rocks"- Midnight Sky- Combination of holographic blue, black and shimmering multi-colors, like the reflection of the sky at night. "Dazzle Rocks"- City Lights- Combination of holographic silver, white and shimmering multi-colors that give the effect of city lights at night. "Dazzle Rocks"- Moonlight- Combination of holographic gold, white and shimmering multi-colors that give the effect of a full moon. "Dazzle Rocks"- Shimmering Stars - Combination of white with shimmering multi-color holographic pieces that give the effect shimmering stars. Professionals, Go to your Professional Store to Get This. Tammy Taylor Nails "Where Nails Are Always Fun and Never Feel Like Work". Time is money and the only way to increase your speed is to have a "System" and when you have a "System" you will get "faster and better" every time you do your nails. This is the same way to perfect your nails, because "practice makes perfect" and a "System" insures you are practicing your nails over and over again the same way every time; allowing you to perfect them. When you don’t have a system it is literally impossible to do beautiful nails every time in under 1 hour. When I first started I did not have a system so my first full set of acrylic nails took me 8 hours but by practicing my "12 Step System" I now hold the world’s record for the fastest full set of acrylic nails ever done, a full set of acrylic nails in less than 20 minutes, in front of a live audience! Here at Tammy Taylor Nails our goal is to help you make more money, so if you need help putting together a good system for doing your nails just go to my website and CLICK on "Education" or CALL one of my Educators at 1-800-93-Tammy or 949-250-9287. What a wonderful career we have. The Beauty Business is always ranking in the Top Ten Best Recession Proof Businesses to be in. nails done is inexpensive and it makes them feel instantly happier and more beautiful for two whole weeks. 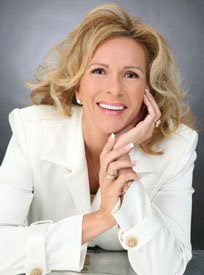 I have been in the Beauty Business now for over thirty years and I still LOVE IT! And remember "Nails Are Always Fun and Never Feel Like Work". How would you like to get 365 more things completed on your to do list, in only five minutes a day! Well, I am going to let you in on a little secret that I do every single day and I call it, the "One More Thing Rule". Every day before I leave work, I do "One More Thing". Whether it's cleaning out a drawer or returning one more phone call, the only thing that matters is just doing "One More Thing" before I leave. And I guarantee, when you follow the "One More Thing Rule", you are going to see great results in only one week. And, can you imagine what great results you will have after 52 weeks, 365 days a year! Do you ever have questions about nails or how to build your nail business? At Tammy Taylor Nails we have everything you need to be successful. We have fabulous nail classes, we have the highest quality products created by a nail technician for nail technicians, we have outstanding educators who are only a phone call away, at 1-800-93-TAMMY and we have the most educational Web site in the entire nail in industry at TammyTaylorNails.com. And remember "Nails Are Always Fun and Should Never Feel Like Work". Always make sure you have a really good "Referral Incentive Program", because clients that are referred to you are the best new clients. so when you are doing their nails "they're open" and "they're more relaxed". Make sure you post your "Referral Incentive Program" at your station, this will remind your clients to send you new clients. Every day in business we have to practice "excellent customer service". And the thing about customer service is "we can’t do it one day and not the next", we have to give "excellent customer service" every day! #1 When you are doing your client's nails, you need to give them your one hundred percent, undivided attention. #2 Put your cell phones on vibrate and make all your call backs in between clients. And remember, "Nails Are Always Fun and Never Feel Like Work". I want to share with you a little trick to make your pedicures faster and better. "FILE OFF CALLUS 3x FASTER WITHOUT THE WORK"
"File off the callus" when the "foot is dry" before soaking and the callus files off "FAST", once you soak the foot and the foot is wet then you try to file the callus, all it does is smooth the callus instead of filing it off. While the feet are "dry" before soaking the feet in water, take your Tammy Taylor Foot File, either your Tammy Taylor 100 grit Zebra Foot File or your Tammy Taylor 100 grit Purple Terminator Foot File and file off the callus, then soak the feet. Then when the" foot is wet" you can "smooth out the callus" using the 180 grit side of your Tammy Taylor Foot File. This will increase your speed and make the best pedicure ever. Customer convenience is so important to your business. Post the hours you work at your station and always make sure to schedule yourself at least "thirty five to forty hours a week" in the salon; working the hours that are convenient to your clients. And maybe throw in a Saturday or a Sunday 2 times a month, this way you can cover everybody’s schedule. By making your schedule convenient for your clients and making sure everybody in the salon knows what hours and days you work, you will get "more booked", you will "make more money" and you’ll have "more clients" and "more happy clients". Always remember to treat your clients like “gold” because they could go to any other Nail Technician in town, but they “LOVE YOU”! And they only “WANT YOU”! Even if your client has been coming to you for twenty five years, treat them like a brand new client. When they walk in the door, greet them with a smile and ask if they would like a little coffee or tea, and have little candies sitting out at your station. These are just a few little things you can do, that always make your clients feel special.